Kuja – sometimes called Mangala, is the planet Mars. Mars is son of the Earth and in chants and mantras to Mars one may hear “Bhouma putraya”. According to early legend and myth, at one point in creation, the planet Earth was submerged in celestial waters (it rained for 7,000 years). Vishnu came snd lifted the Earth out of the water, placing it in its orbit. Mother Earth was most grateful for this and offered to bear a child for Vishnu. He agreed, and out of their union came the planet Mars or Kuja. Some people are fearful of Mar’s fierce effects and try to appease him by calling him Mangala, the Auspicious One. An accomplished speaker, Mars is a warrior, of the Kshatriya caste; as a warrior he sometimes causes conflagration and injury. He has a pita constitution (fire); blood-red is his colour, overflowing with power and strength, he wears red clothes. He rules muscles and bone marrow, his day is Tuesday, and of the signs he is ruler of Aries and Scorpio. His metal is copper and his gem is coral. He is called Disease-Eater, Wound-Causer, the Twisted, the Auspicious, Born-from-Earth, Cruel-eyed and Red-limbed One. On the higher level, Mars directs us to the yogas of knowledge and energy and gives self-discipline and asceticism. 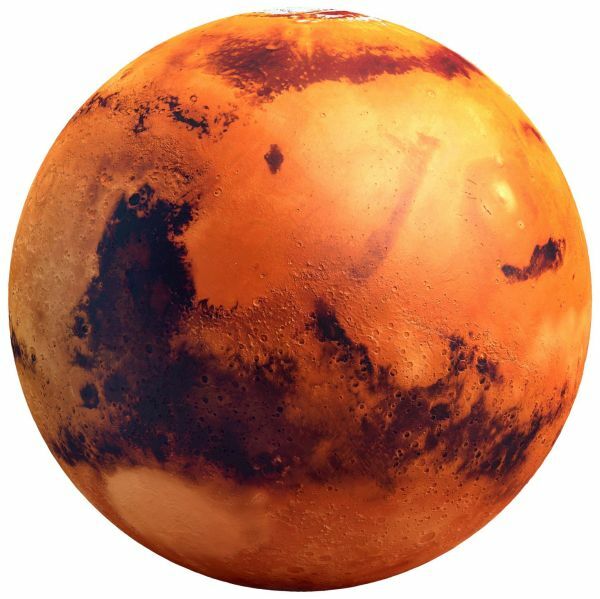 A strong and spiritual Mars is good for the practice of rituals and yogic techniques, methods of directing psychic and spiritual energies. The warrior energy is easily transformed to determination, discipline and devotion. The spiritual Mars is a strong penitent, determined to reach the goal. Mars guides goal-oriented action, and as one’s ultimate goal is the highest value in life, so action may have a lofty goal in view, holding in equanimity the four goals of life, artha, kama, dharma and moksha (wealth, needs, right-conduct and liberation from the cycle of birth and rebirth). An effective Mars in one’s birth chart is a Mars with the capacity to turn all attention to the task at hand. Although tamasic in nature it is only after drill-repetition-determination is Mars ready with a depth of energy and application via discipline – the discipline of trade or craft. Acquisition of skill and craft requires full concentration for success. Concentration may be called meditation. However beneficial the changes may be in the sphere of natural forces, without a change in men’s outlook and conduct, they will be of no use. Many persons claim that they are observing rigorous austerities. What is the outcome of these austerities? If their hearts soften and they show compassion towards the ailing and the helpless, only then has their penance any meaning. A compassion-filled heart is the real fruit of penance. All the spiritual exercises performed by a hard-hearted person are utterly futile. Many undertake meditation as a spiritual exercise and expend many hours on it, But, in fact, meditation is implicit in almost every act that is done from morning till night. Meditation (in the sense of concentration) is implied in all the daily chores like eating, going to work, attending to business, etc. One is meditating while reading or playing or shopping. Mangal Puja is to appease the planet Mars. Mars Puja is very useful and beneficial puja, since such worship strengthens benefic Mars and increases its positive influence and pacifies malefic effects of the planet. It neutralises its negative effect. 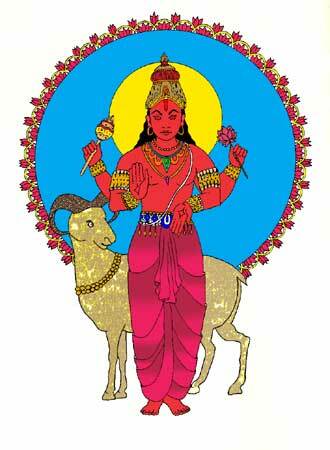 Mangal Puja is recommended for those having malefic Mars or poorly placed Mars as per horoscope. The planets are to propitiated against their delivery of energies; to ward them off, the Mars Puja is done with faith to ward off all evils of Mars as per the horoscope. If Mars is well placed in your horoscope, his influence will be toward positive energy, strength, courage, passion, and success. One would be active, have great energy, be learned, well-known, regal and will accomplish all they set out to do. The influence of Mars – Kuja rules over battles, lust, passion, drive, weight-lifting, surgery, will-power, military matters, law, quarrels, curses, destruction, leaders, labour, judges, tribunals, power, justice, and strength. To learn the aspects of Mars, Kuja (Mangal), in your chart, seek an astrological reading with the Puttparthi Vedic Astrologer, Sai Bharathi and make payment thought Paypal.